1131 – Canute Lavard was murdered at Haraldsted, Denmark by his cousin Magnus, which led to the civil war in Denmark (1131–34). 1325 – Alfonso IV became King of Portugal. 1558 – France took Calais, the last continental possession of England. 1610 – Galileo Galilei observed the four largest moons of Jupiter for the first time. 1782 The first American commercial bank, the Bank of North America, opened. 1785 – Frenchman Jean-Pierre Blanchard and American John Jeffriestravelled from Dover, to Calais, in a gas balloon. 1827 Sir Sandford Fleming, Canadian engineer; introduced Universal Standard Time, was born (d. 1915). 1832 – James Munro, Scottish-Australian publisher and politician; 15th Premier of Victoria was born (d. 1908). 1834 – Johann Philipp Reis, German physicist, invented the Reis telephone was born (d. 1874). 1835 HMS Beagle dropped anchor off the Chonos Archipelago. 1894 W.K. Dickson received a patent for motion picture film. 1895 – Sir Hudson Fysh, Australian aviator and co-founder of QANTAS, was born (d. 1974). 1904 The distress signal “CQD” was established but replaced two years later by “SOS“. 1912 – Charles Addams, American cartoonist, was born (d. 1988). 1925 – Gerald Durrell, British naturalist , was born (d. 1995). 1927 The first transatlantic telephone call was made – from New York to London. 1931 Australian Guy Menzies completed the first Trans-Tasman flightwhen he flew from Sydneyand crash-landed in a swamp at Harihari on the West Coast. 1943 Sir Richard Armstrong, British conductor, was born. 1948 Kenny Loggins, American singer, was born. 1951 Helen Worth, British actress, was born. 1953 President Harry Truman announced that the United States had developed the hydrogen bomb. 1954 Georgetown-IBM experiment: the first public demonstration of amachine translation system, was held in New York at the head office ofIBM. 1960 The Polaris missile was test launched. 1968 Surveyor 7, the final spacecraft in the Surveyor series, lifted off from launch complex 36A, Cape Canaveral. 1980 President Jimmy Carter authorised legislation giving $1.5 billion in loans to bail out the Chrysler Corporation. 1984 Brunei became the sixth member of the Association of Southeast Asian Nations (ASEAN). 1993 The Fourth Republic of Ghana was inaugurated with Jerry Rawlingsas President. 1999The impeachment of President Bill Clinton started. 2010 – – Muslim gunmen in Egypt opened fire on a crowd of Coptic Christians leaving church after celebrating a midnight Christmas mass, killing eight of them as well as one Muslim bystander. 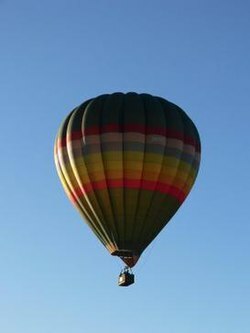 2012 – A hot air balloon crashed near Carterton, New Zealand, killing all 11 people on board. 2015 – Two gunmen committed a mass shooting at the offices of Charlie Hebdo in Paris, killing twelve people and injuring another eleven. 2015 – A car bomb exploded outside a police college in the Yemeni capital Sana’a with at least 38 people reported dead and more than 63 injured. This entry was posted on Monday, January 7th, 2019 at 12:01 am and is filed under history. You can follow any responses to this entry through the RSS 2.0 feed. You can leave a response, or trackback from your own site.